28 Construction Kits are included. Each construction kit includes a demo mix and all the elements of the kit broken out as well as a subfolder "hits" from that kit. Also included are the multi-track drums (drum tracks) allowing for custom mixing of the drum loops. 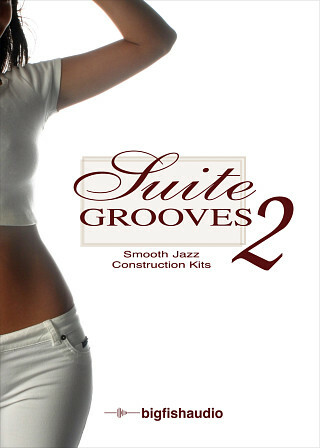 Suite Grooves 2 includes over 2.46 GB of content with 706 different kontakt patches. Demo Patch - There is a Demo Patch which provides the user with all of the demos from each of the song kits in one instrument. Demos are mapped starting at C0 on the keyboard. Sliced Loops - Each loop from the product has been given it's own patch and can be edited extensively using the "loop fx" interface. The full loop can be triggered at C0. The loop can be played backward at D0. Individual slices start at C1 on the keyboard. One-Shots - Drum hits from each kit have been given their own patch as well as a few drum menu patches created from an additional set of drum hits included in Suite Grooves 2. The Following End User License Agreement is included with Suite Grooves 2. This License is only valid for the individual who has purchased an unopened, new and lawfully made copy of Suite Grooves 2 from a dealer or distributor authorized by Big Fish Audio. So what is Suite Grooves 2? 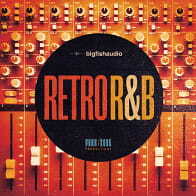 It's basically a large collection of smooth jazy, funk, and rnb style instrumentals and riffs. Lots of live horns, keys, bass, drums, and percussion...to help you capture that real smooth jazz sound.